It feels like a never ending story of hand sewing. 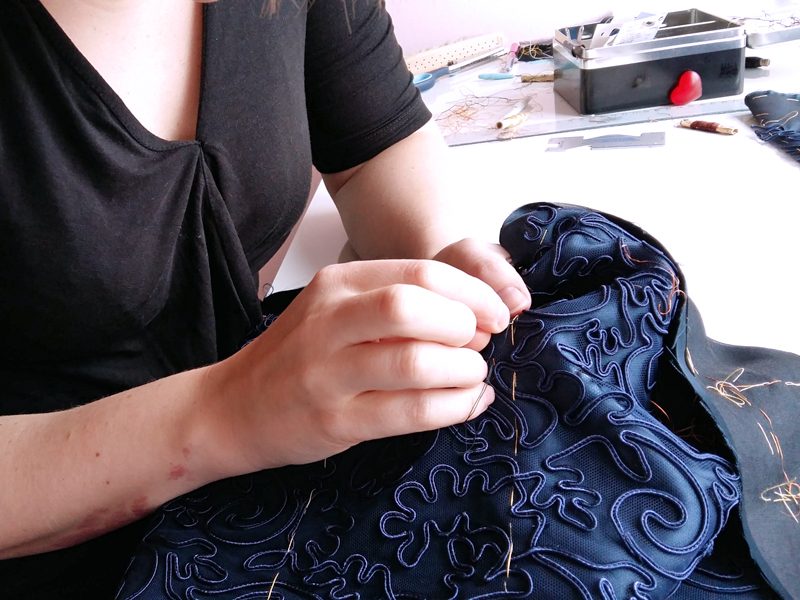 I don't mind per se; I like sewing by hand. 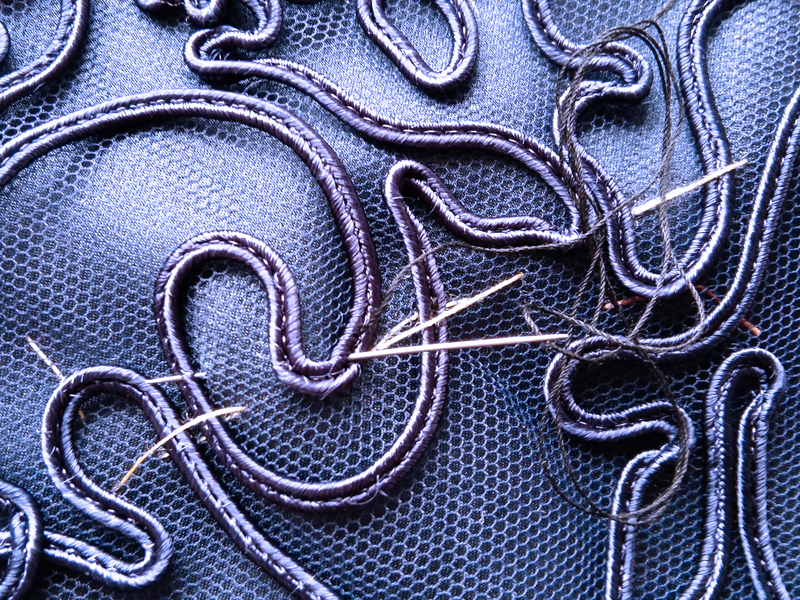 I first basted the soutache lace to the silk layers. I did it at even 10 centimetres intervals, since I thought it would be handy for the next step. 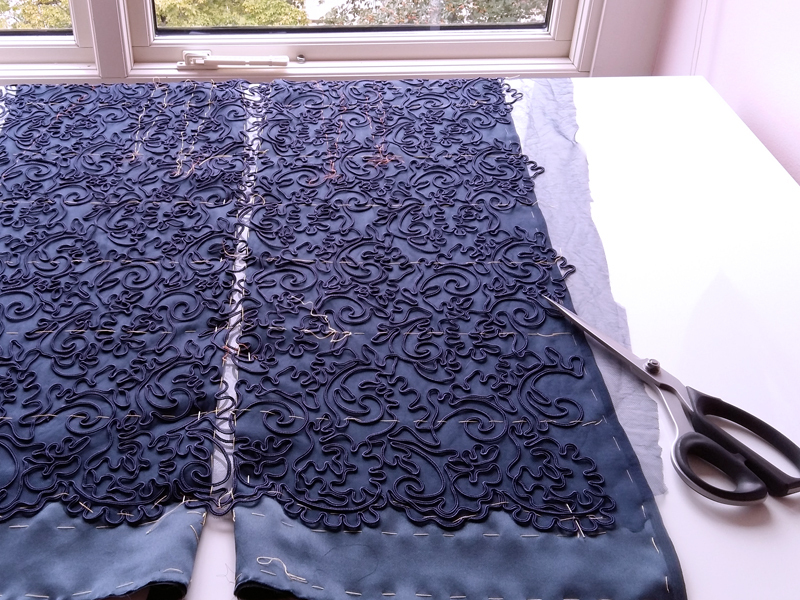 Then, the next step was to secure the lace permanently,and now the even rows of basting came in handy. 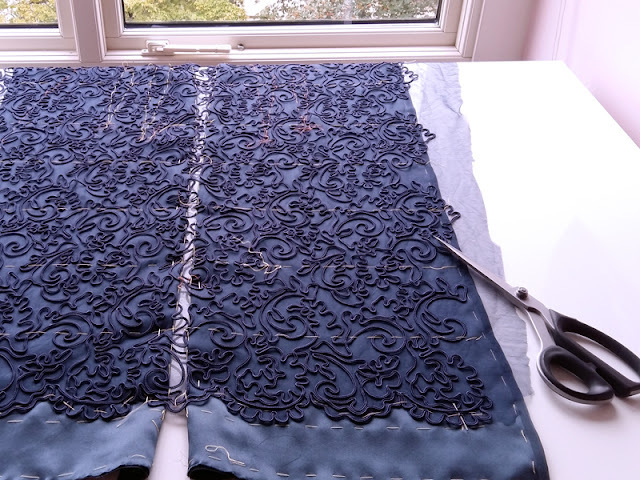 I simply used a running stitch, tiny on the right sight in the middle of the soutache, and larger on the back, depending on the distance of the soutache. Different sewing machines come with different stitches. 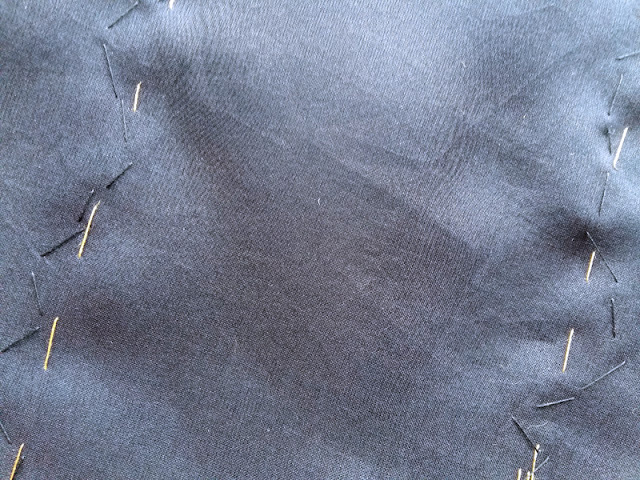 The basic machines may only have a few stitches, which if all you are going to be doing is mending, a few is all you need. 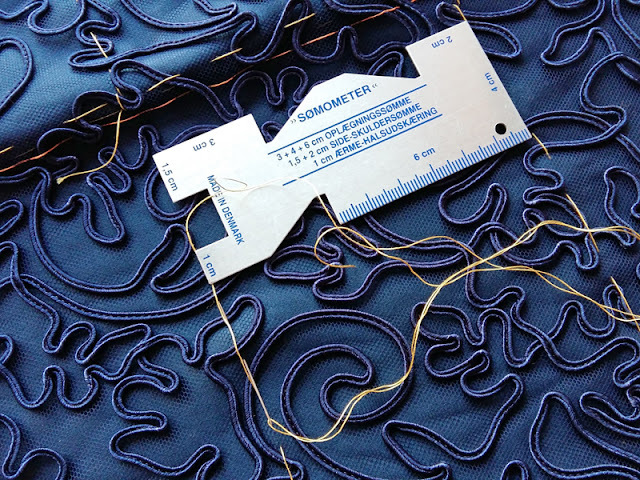 Basic hand sewing and quilting are widely practiced in the United States and Canada today. Despite the popularity of sewing machines and mass production techniques, it's good to know that a lot of people still value tradition. I began with a small and simple design in order to learn the quilting process. I usually home sew my quilts by sewing machine and still find the addition of the related supplies extremely helpful.